The validation master plan (VMP) is a crucial document as it describes the basic concept for your overall site validation program. 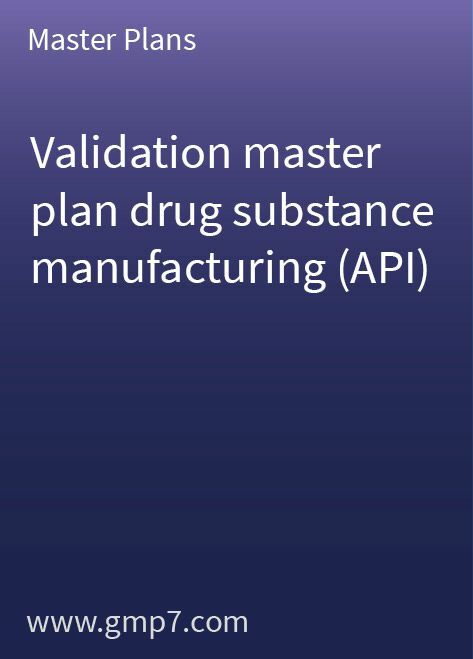 This 26-page VMP template for manufacturers of drug substances/active pharmaceutical ingredients, which has been updated in line with current industry standards, needs only a small amount of site-specific modification before it can be adopted for your operations. The VMP addresses: process validation, facility qualification and validation, utility qualification and validation, equipment qualification and cleaning validation. Its objective is to outline the principles involved in the qualification and validation of your facility, define the areas and systems that are to be qualified and validated and provide a program for achieving and maintaining validated status.